The Bourne Legacy didn’t make a big impression in its theatrical run and sort of got lost in the whole Superhero mania of 2012. Jeremy Renner punches and shoots his way through lots of people, and Rachel Weisz is there to accompany him. Edward Norton appears and might be the most interesting aspect of this sub-par thriller. My biggest problem with The Bourne Legacy is that it’s way too long (over TWO HOURS!!) The plot wants itself to feel epic and sophisticated, but in the end it was just too complicated and uninteresting for me to care. However, the film still managed to hold my attention to the end with some brilliantly edited action sequences and lots of motocycle revving. Lockout has the most outrageous car chase I’ve ever seen in a movie. It happens at the beginning of the film and didn’t even last for long, but it was the definitely the best thing in this affectionate sci-fi flick. Guy Pearce is convincing as an action star, probably one of the more grittier ones out there currently. He delivers his cheesy lines with much gusto, and I find it a pity that he isn’t a household name by now. If you think you will be seeing the next Blade Runner, then sorry to disappoint. 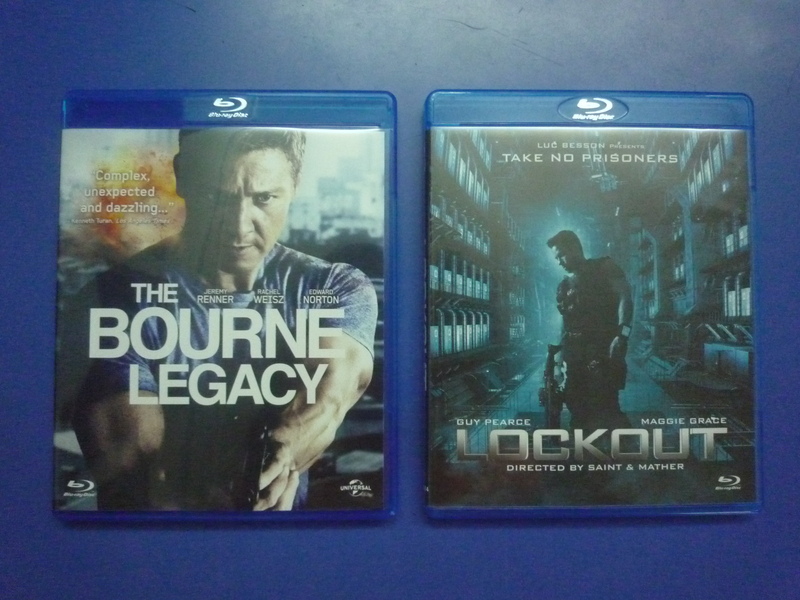 But if you want to see a genre movie from the Luc Beeson factory, then you’ll probably enjoy Lockout like I did. About 55,000 tourists visit Liechtenstein every year. This blog was viewed about 350,000 times in 2012. If it were Liechtenstein, it would take about 6 years for that many people to see it. Your blog had more visits than a small country in Europe! 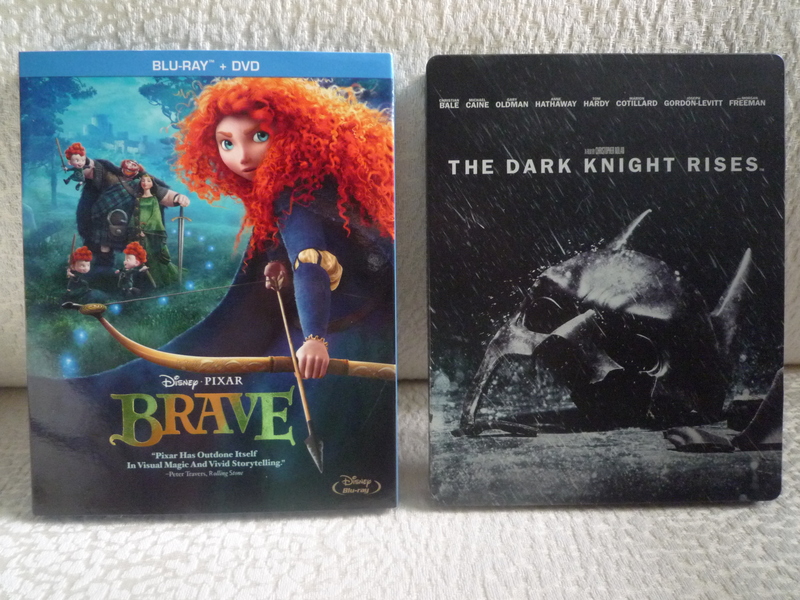 Brave, widely recognised as a huge drop in quality for Pixar, arrives on Blu-ray and I did not hate it. It is in no way a bad movie, just a very underwhelming one. The story feels like a rejected idea passed on from Disney, especially since it centers around a princess. There is too much slapstick going on and not much that’s new to see in this “finding yourself” tale. But at least the movie is beautifully animated and has great music. If anything, I definitely recommend letting your kids watch Brave than Ice Age: Continental Drift. The Dark Knight Rises signals the end of Christopher Nolan’s Batman trilogy, and I wonder what DC/Warner Bros is going to do with the Batman film franchise now, or any of their superhero properties for that matter. The Zack Snyder directed Man of Steel is arriving next year, and I am remaining optimistic. There is also Justice League planned for 2015, but don’t you get too excited yet. The last time a Justice League film was announced, it never saw the light of day. All we got was a blink-and-you’ll-miss-it Superman+Batman logo in I Am Legend. 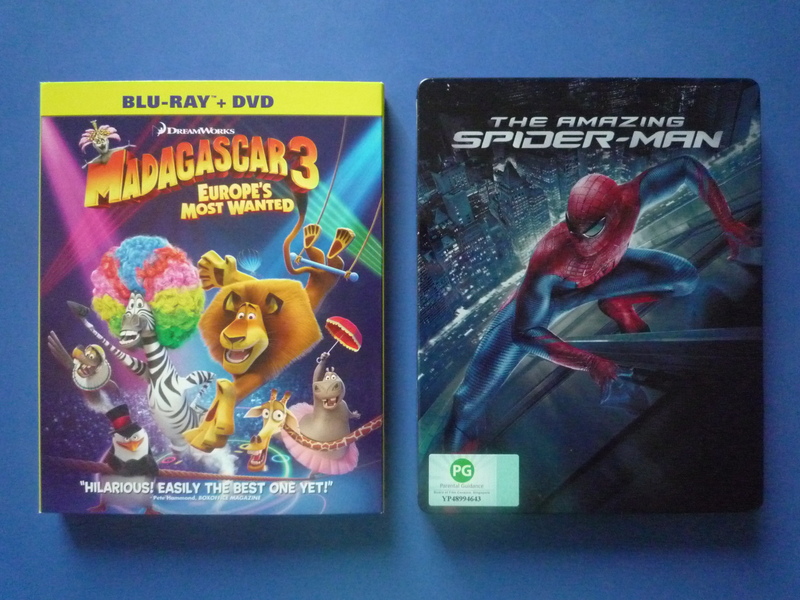 Watching Madagascar 3 & The Amazing Spider-Man on Blu-ray! “THE BEST ONE YET!” is the blurb on the cover of Madagascar 3: Europe’s Most Wanted. The voice of the Lion (Ben Stiller) and the Zebra (Chris Rock) are entertaining, but some of the dialogue in these Dreamworks animations can be very dry, void of any creativity or emotion. It’s as if the “talking scenes” are just there for the sake of being there. Having said that, I do laugh at most of the jokes in this colourful and spastic trilogy. In Europe’s Most Wanted, you get many frantic action sequences (including a very well animated car chase), goofy characters, and those “old” songs which somehow make the parents feel a little bit comforted. “THE UNTOLD STORY” was the tagline of The Amazing Spider-Man (my review HERE). Turns out, we’ve already seen this story in 2002’s Spider-Man, directed by Sam Raimi. This “darker” reboot is directed by 500 Days of Summer‘s Marc Webb and stars American-British actor Andrew Garfield as the screwed-up Peter Parker/Spider-Man. The funny thing is – and I find this hard to believe – Andrew Garfield is actually OLDER than Tobey Maguire when they were Spider-Man in their respective movies. Huh! Also, Andrew Garfield looks like the guy from Psycho... Jus sayin’. Having a James Bond movie released now is almost like medicine for the recent marathon of superhero/sci-fi movies. 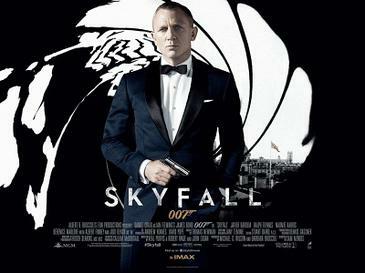 Skyfall is directed by Sam Mendes (Road to Perdition), and may be the most polished 007 flick yet. The story flows quickly but steadily and fans and non-fans alike will be sucked into the exciting plot. Daniel Craig plays a convincing James Bond, but perhaps the most memorable performance in the film is from Javier Bardem, who plays the villain of this bout as if he is auditioning to be the next Batman villain. With cruel, crooked line delivery and devilish facial expressions, Bardem might as well be the best Bond villain ever seen on screen. This villain even has an intriguing back story that involves Bond himself, transforming Skyfall into an unexpectedly personal tale for both the hero and the villain. The scenes leading up to the climatic action sequence gets a little draggy and unnecessarily sappy, but by the time the credits come along, I was absolutely in awe of what a comeback James Bond has made on the cinema screen. Skyfall is a must watch for everybody. Watching Prometheus on 3D Blu-ray! I cannot watch Prometheus in 3D because I don’t have a 3D TV, but I watched in on 2D Blu-ray and it looks and sounds great in hi-def. The movie itself is only marginally good, perhaps much better enjoyed if you are a die-hard fan of director Ridley Scott (And his “boring” style). The beginning and middle of Prometheus is extremely sci-fi-ish with spaceships and space suits, but you don’t get to see the aliens until later on. The CGI of the landscapes looks beautiful and very believable but some of the aliens look quite fake, which is a pity since it destroys the mysterious and eerie tone that Ridley Scott creates so well. The final scene of this restless Alien redux is a tasty bone thrown to the fanboys, but non-fans will be left scratching their heads. So if you just love (and I really mean love) your Alien movies, Prometheus is well worth the sit-through at least once.